I LUV THEE HALL ‘O FAME MUSEUM! Dave graciously took me back to my Numero Uno favourite building on the Speedway’s grounds; the Indianapolis Motor Speedway Hall of Fame museum... which I thoroughly enjoy visiting every time at the Brickyard, as there’s always something new to see... And once again two Yellow shirts opened the doors for me and as I prepared to pay my three smackeroos... (Unaware that the price has increased to $5.00) The nice lady at the desk told me that mine was FREE! Next up was a 1938/39 Bowes Seal Fast Special driven by Louis Meyer; before chatting with a very nice museum volunteer who was busy watching the racecars... who told us that they’re always moving the cars around – but they’re lined-up in order; telling us there’s 30-winning chassis on display in chronological order. Sadly, Janet’s racecar was parked alongside someone known as Princess Sparkle Pony, Err “danica-FO-manica,” Yuhs knows – DannaWho? As I guess I should type her full name? Danica Patrick; URGH! Whale at least Janet’s chassis was parked ahead of Princesses 2005 Rahal Letterman Racing steed, replete with Danica Doll (manikin) hoping into the car – whew! At least it the Danica doll was kitted out with her entire driving uniform instead of just a swimsuit; Hya! Then we checked out a nice montage of an early Indianapolis Motor Speedway Garage complete with two of ‘Ol Super Tex’s (A.J. Foyt) winning Indy Cars; the 1961 & 1977 Coyote. 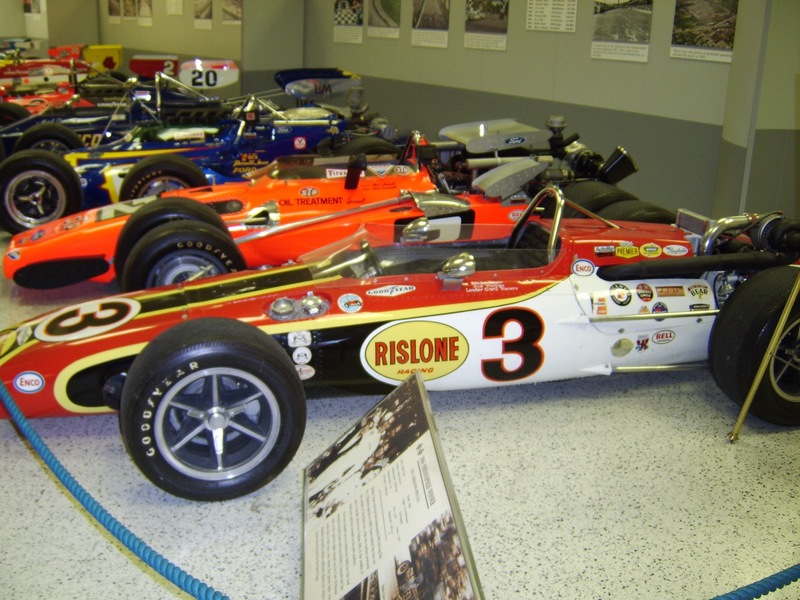 Then it was off to what I affectionately denote as “Winner’s Row,” car’s I’m more familiar with; beginning with Bobby Unser’s 1968 Risoline Special, followed by Mario andretti’s replica Brawner Hawk and ‘Big Al’s Johnny Lightning Special. Next is the (“REAL”) ’72 Sunoco Special followed by Johncock’s STP Special, while the “Yellow Sub,” Rutherford’s winning Chaparral is next, with the “Flying Dutchman’s” (Arie Luyendyk Sr.) Doug Shierson Domino’s Pizza car; Hmm... Sub ‘N Pizza makes me think may be it’s time for dinner? (Hya!) While Jackie V’s 1995 mount fills out the row, as I still consider this the last true Indy 500 winner; Oh Never Mind! Really know nothing ‘bout this great racing driver – except what I’ve read... As amazingly he started off as a Dalmer-Mercedes salesman needing permission to race on weekends – provided the events were within driving distance. Yet “Carach” who was adored by the Germans, went onto win three Hillclimb Championships along with three European World Championships – the precursor to today’s Formula 1 World Championship prior to the war. 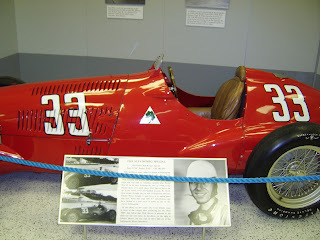 (World War II) As Caracciola still holds the record today for most German Grand Prix wins at six. Clark’s No. 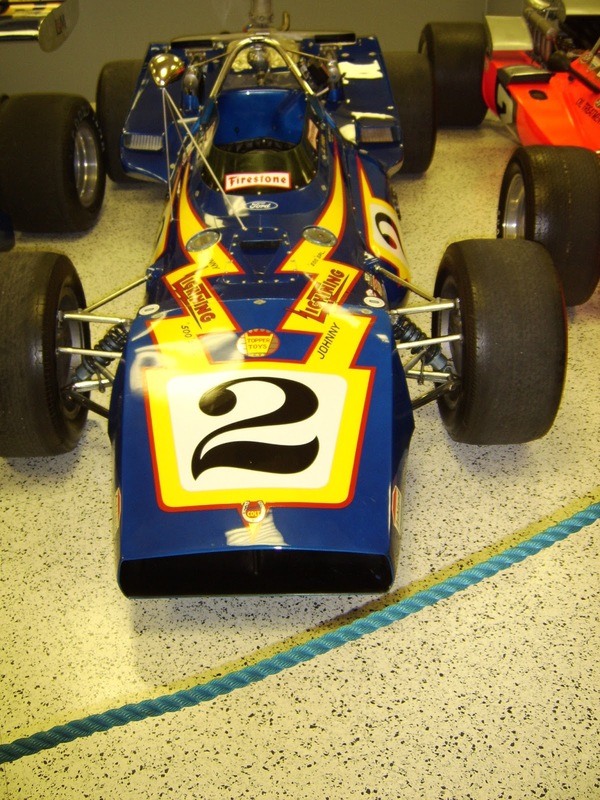 92 Lotus 29 “Powered by Ford” - his 1963 Rookie chassis was on static display, while his teammate that year in the No. 93 was somebody named Dan Gurney. Clark raced 5 times at Indianapolis; 1963-67 and won the classic 500-mile event in 1965. Yet, recall that ‘63 was another controversial victory – as ‘Ol Parnelli Jones Roadster was leaking oil, but wasn’t black flagged as Clark wound up being second. Then, Holy Mulsanne Straight – Batman! As I simply cannot believe that I’m standing directly in front of a glowing rosso Ferrari 250LM racecar... But NOT just any Ferrari; NO! It’s the 1965 24 Heurs du Mans winning N.A.R.T. Ferrari 250LM that Masten Gregory and Jochen Rindt drove to the overall win – as I’m trying NOT to drool to much... (What a FREAKIN’ beautiful car!) Whilst parked alongside it is an A.J. foyt driven Mecom Special, a Maserati Birdcage and the ex-Whittington brothers Kremer K3 ’79 Le Mans winner that was recently involved in a legal Scrum that IMS was victorious in. 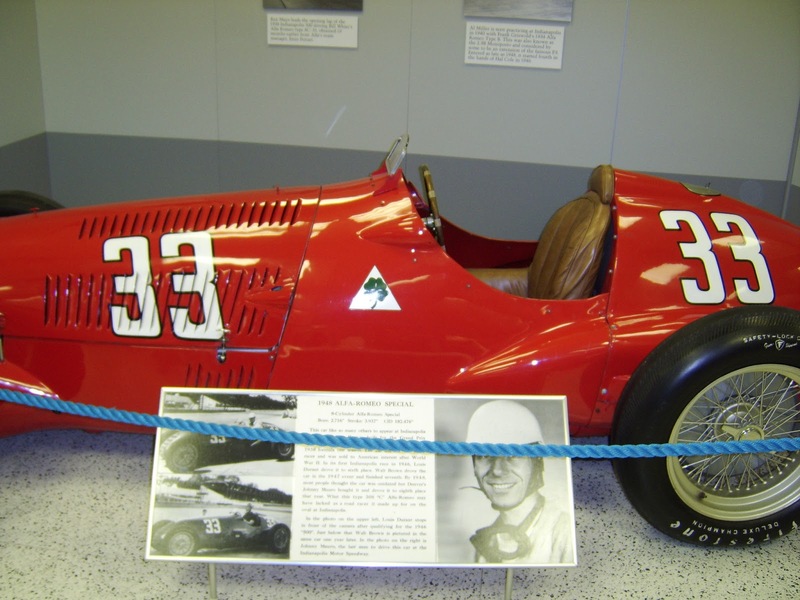 As Don Whittington sued the IMS Foundation in 2009, claiming the car had simply been loaned to the museum and now he wanted it back... But the Courts ruled in favour of the Hall of Fame museum on April 13, 2010. 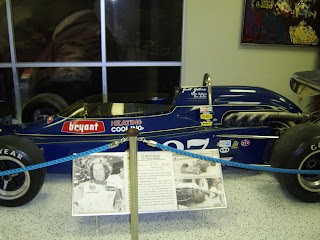 Then I hear a lady speakin’ what sounds like German... Something ‘bout Herr Schumacher – as it cracks me up that the museum has positioned Michael Schumacher’s (1991) Benetton B191 line-astern with two Tin Top Stock Car ‘Bombers... As first there’s RASSCAR Star Tony Stewart’s No. 20 Home Depot, (‘05 Brickyard winner) then some Dude called The King; as in Richard Petty – with a Petty blue Pontiac Stocker (’92 STP) and Schuey’s Rookie-year Benetton forlornly in the background; Hya! As sorry Tony: you AIN’T a 7-times Champion! Also, for more museum insight, you may wish to check out my brief visit with IMS Historian Donald Davidson in: ‘D-Squared. Kudos to Mr. Carpets - NoFenderz ‘Offical Photographer for the day’s outing & taking pictures!